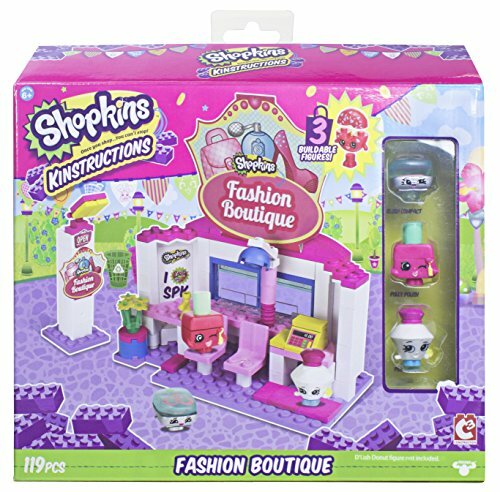 The Shopkins Kinstructions Fashion Boutique! 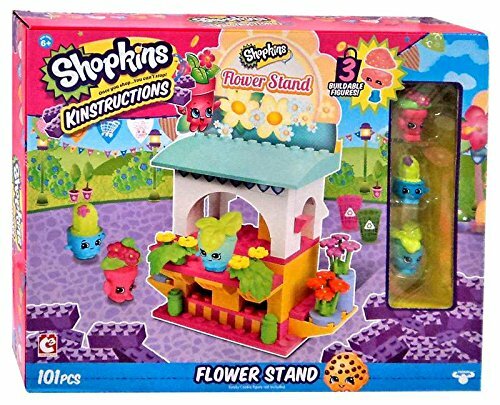 My daughter and I bought the Shopkins Kinstructions Fashion Boutique set to review. 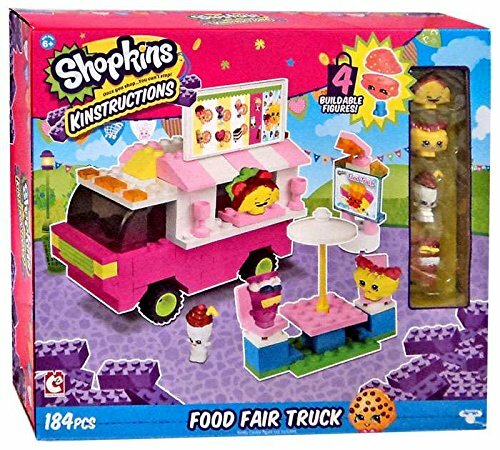 I noticed this set when I bought my niece the Shopkins Kinstructions Shopping Cart as a gift and thought it looked pretty cool. This is a medium sized Kinstructions set that comes with 119 pieces to build toghether. You also get 3 buildable Shopkins figures to go in the fashion boutique. These Shopkins figures are super cute and we show you some close up pictures of them below. In A Hurry? ===> Buy The Kinstructions Fashion Boutique Here! My 15 year old daughter was more than happy to build this Kinstructions Fashion Boutique. She has been a Lego fan for years and has a few collections of Lego houses so tackling this Kinstructions set was fun for her. Even though she is older than most kids who will be building this set it still took her 35 minutes to build the Shopkins Fashion Boutique and put on all the stickers. She said the big Shopkins Fashion Boutique sign was a bit tricky to put together so you may find yourself being asked to put it together for your child. This is what the Fashion Boutique looks like once it is built together. 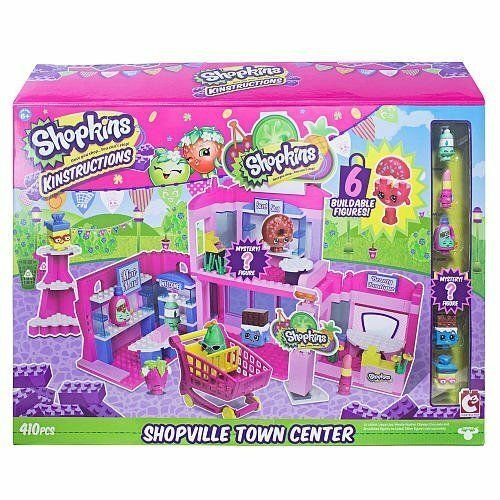 We bought our Shopkins Kinstructions Fashion Boutique from Amazon. For us buying online is convenient than driving an hour or two away to find a store that carries toys. And most of the time you can’t beat Amazon’s prices. 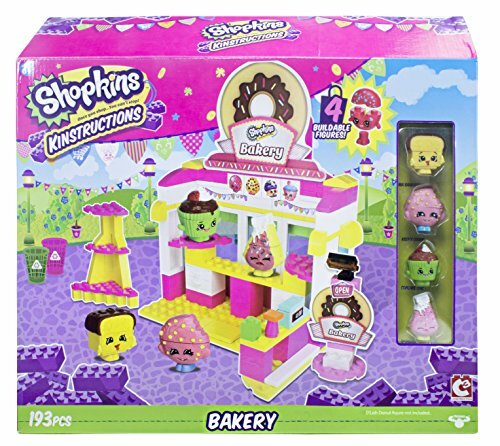 Here is a closer look of what’s inside the Shopkins Fashion Boutique. You can see there is a window with clear Kinstructions bricks that showcase some curtains. Stickers come with the set so you can decorate the inside of the Fashion Boutique. There are 2 chairs that you can move or twist around for Shopkins to sit upon. One chair is for the tap station and the other chair is positioned right under the hair dryer. You can move the blue hair dryer part back and forth. Then there is the cash register displayed with a pink brick beside it so the Shopkins can stand on it. This little cutie is Blush Compact. Isn’t she adorable? My daughter and I just love the translucent grey color that she is. On the top of Blush Compact is a heart swirl with an S inside of it. The top lid of Blush Compact can also come off. She looks absolutely adorable inside the Boutique shop.